Her favorite games are Frogger, Ms. Pac-Man and Space Invaders, and her favorite PC games are Super Collapse and Spider Solitaire. Her hand-eye coordination is apparently limited to two dimensions. When I attempted to teach her to play Oblivion she couldn't get her avatar to look at anything but the ground. 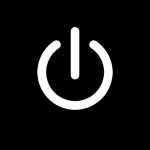 When shown an image of the universal power symbol, she has no clue what it is. Quote: "All you and your brother ever talk about is those boring video games." Video games are a part of pop culture, and her knowledge of pop culture includes such gems as the facts that the aliens with the big ears in Star Trek: Deep Space Nine are called "Fergies" and the big hairy guy in Star Wars is named "Tobacca". When I attempted to teach her to play Fallout 3 her attention span would not allow her to play any farther through the tutorial than the G.O.A.T. exam and she has expressed no further interest in the game. In the years that we've been together, she has never looked at my computer monitor and said: "Hey, that looks cool!" After reading the epilepsy warning in the instruction booklet for The Sims 2 she refused to play the game ever again because she is convinced that the game will cause her to contract the disorder. She hasn't turned on "her" computer in over a month. I complain sometimes or tease her, but when all is said and done I really am glad that "opposites attract". Living with someone exactly like myself would probably be a real pain!